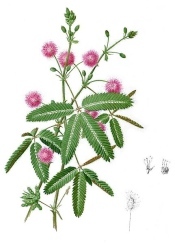 It won't giggle like Elmo, but Sensitive Plant has a big reaction to being tickled. Its leaves quickly fold up -- and the entire stem collapses -- when touched, making it a fascinating plant to watch. Sensitive plant closes it leaves at night and opens them again in the morning. The leaves also fold up if the plant is shaken or exposed to heat. In fact, high temperatures (75-85°F/24-29°C) may trigger the leaves to close. Did you know...Pudica is Latin for shy, given to this plant because of its shrinking reaction if disturbed. 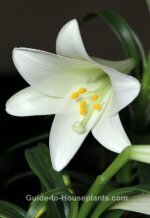 It only takes a few minutes, though, for the leaves to slowly unfold and the stems to straighten up. The feathery, fern-like leaves are made up of 25 pairs of tiny leaflets. The foliage is attractive on its own, but you'll be captivated by the profusion of pink pompon flowers that bloom from summer into fall. 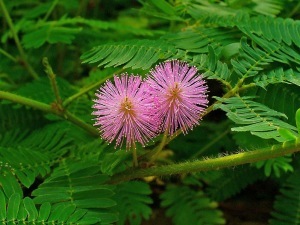 Mimosa pudica is a perennial shrub, but is often treated like an annual and tossed out, because it tends to deteriorate after flowering. 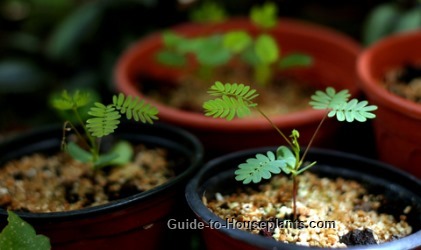 Younger plants are more beautiful, anyway, and sensitive plant seed is quick and easy to grow. Put your potted plant outside for the summer, if you want, to give it the light it needs. Just don't plant it in the garden. It's considered invasive in warm-climate areas and will spread like a weed. Sensitive plant is fast growing. Repot when you see roots coming through the pot's drainage holes. You'll sometimes find this plant for sale as Touch Me Plant or Tickle Me Plant™. The kit shown here includes Mimosa pudica seeds, a plastic greenhouse to hold in humidity, 6 mini flower pots and 6 soil pellets -- everything you need to easily grow your own plants. Give your plants plenty of light, keep them moist and warm and you should see sprouts in about a week. Light: Bright light with some direct sun. They'll thrive under grow lights, too. Water: Keep soil evenly moist, not soggy. Humidity: Moderate to high humidity. Use a humidity tray. Temperature: Average room temperatures 70-75°F/21-24°C. High heat may cause its leaves to collapse. Fertilizer: Feed every 2 weeks with a high-potassium liquid fertilizer diluted by half while plant is growing. Propagation: Seeds. 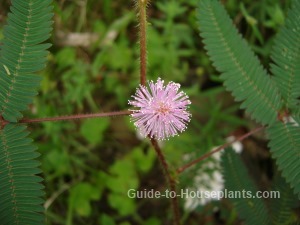 Sow sensitive plant seed in early spring. The seed coatings are tough and need scarification to help germinate. Use a sharp knife to (gently) nick the seed coating to expose the white inside of the seed. Barely cover the seeds with potting mix. Keep the medium moist and warm. Seeds should germinate in about a week.